My Husband's Cancer & Starting Over: LIVE CHAT! 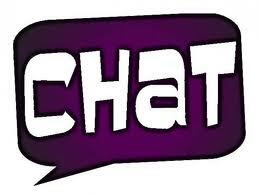 LIVE CHAT!!! I will be having a LIVE CHAT right here on my blog on Thursday, August 4, 2011 at 7:00pm EDT for cancer patients and/or caregivers. If you would like to join in the conversation with a question or concern or just connect with someone who follows similiar situations along this cancer journey like yourself, just enter your "first name" in the Sign In area at the bottom of the chat forum and press "ENTER'. Look forward to meeting you and chatting in real time!! !